Want a way to take the party anywhere? What you need is a good portable bar! Commercial bars, restaurants, hospitality businesses and event venues often overlook the need for portable bars if they already have permanent ones. But these movable essentials will help you serve more customers in a pinch and take advantage of every last corner of your business. Portable bars are also a must-have accessory for traveling bartending services, party planners, entertainers and event rental businesses. CKitchen is always here to help you find the right portable bar for your business and budget. It doesn’t matter if you’re looking for a high-end, rolling portable bar or are simply after a cheap portable bar for sale for your one-off event, CKitchen has got you covered. Top name brands like Cambro, Carlisle, Eagle Group, Lacrosse, Geneva and Lakeside make cutting-edge rolling bars that are designed for ease of transport, setup and use. If you need superior convenience, we highly recommend a Cambro portable bar. This manufacturer produces what we call the Cadillac of rolling bars, with styles featuring full-service ice sinks, cold plates, speed rails, mixing guns and even decorative countertops and fronts. If you’re looking for something with some stylish flair, explore our selection of Lakeside and Geneva portable bars. 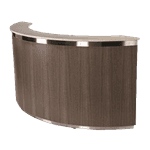 These manufacturers make high-style wooden portable bars with handsome finishes that make awesome, economical options for more permanent applications. Of course, we also offer plenty of low-cost and economical portable bars that do their job with fewer bells and whistles. They can be nicely dressed up with a tablecloth in any event venue, and are even popular for home use. Although some of our portable bars don’t offer rolling convenience, they are great alternatives to costly built-in bars.